Since I made a cupcake counting page for the pre-k quiet book, I figured my little one would want cupcakes in her book too. Who doesn’t want a little, or big cupcake in their life, right? 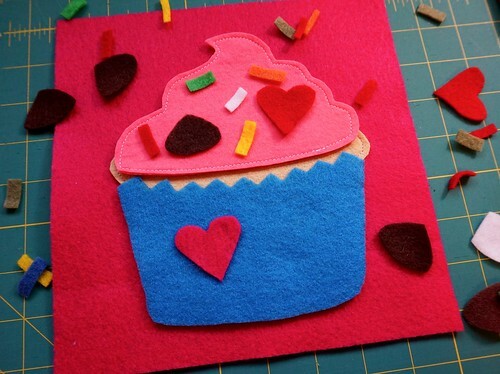 In my busy bag phase I ran across this very cute and free felt cupcake pattern from Money Saving Mom. 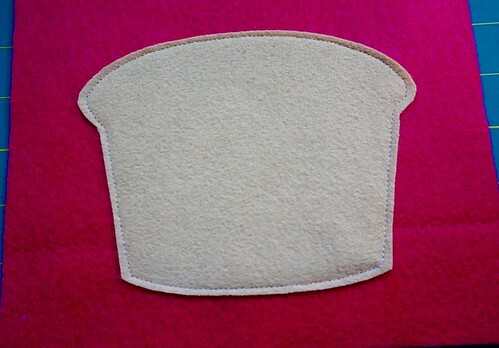 I sewed the cupcake base to a felt page. I also cut out a variety of cupcake cups and frosting tops to be mixed and matched. The smaller pieces took quite some time to cut out, but how fun are they?! 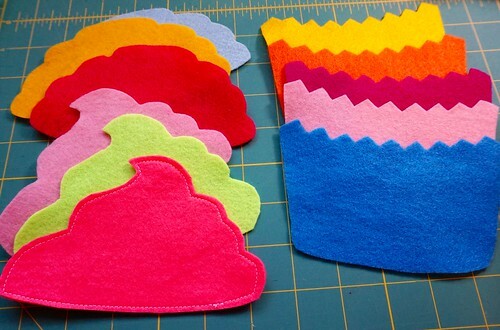 If you haven’t seen the freezer paper method of cutting out felt, give it a try with these small pieces, it’ll save you lots of time, and it’s really easy. I found that my older freezer paper didn’t work, but newer freezer paper did. 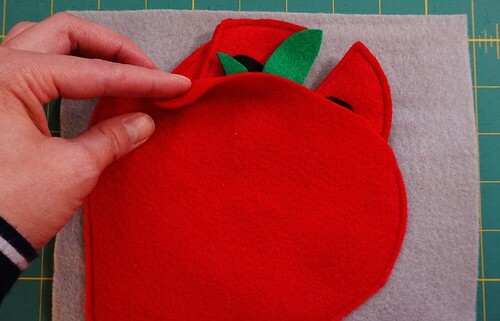 Check out Juggling With Kids’ post, The Secret to Cutting Felt for tips on using freezer paper. I added a small bowl to store the larger pieces. I actually won’t be adding the small pieces to the quiet book until she’s older because I don’t want to find them all over the car, but she can play with them in the house. I decorated the bowl with some gold metallic thread and a decorative stitch. I never use these, so it was kind of fun playing with it. The other page I’m including in the toddler book is another simple counting page. She’s starting to count on her own and recognizing numbers, so this fun little strawberry puzzle counting page I hope will keep her interested. I cut out 3 strawberry pieces and 1 stem piece. I then cut enough seeds to fit the appropriate number of seeds on each puzzle section. I only made 4 puzzle sections, but you can make more or less as you see fit. 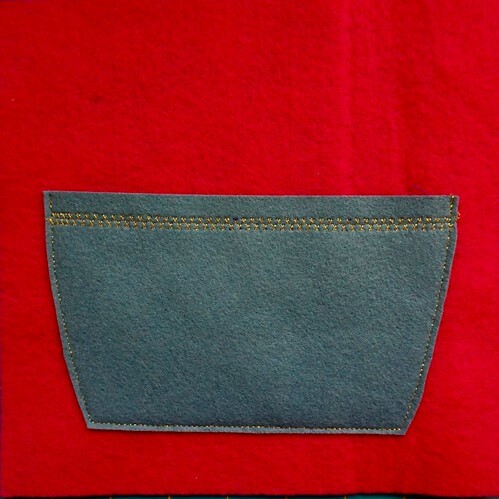 I hand sewed the seeds on using embroidery floss, then machine sewed the puzzle pieces 2 pieces thick for sturdiness. I also used puff paint to add numbers for number recognition and tactile fun. 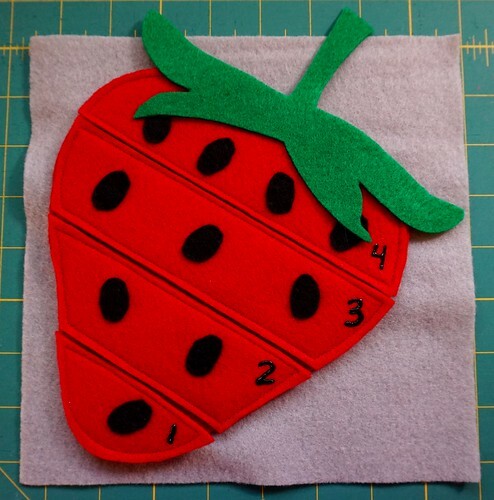 I machine sewed the last strawberry section to the felt page, leaving the top part open to store the puzzle pieces and stem. It also acts as a guideline for the puzzle. I found the Printable Strawberry Craft pattern on Learn Create Love, and of course it’s free. I LOVE this blog and have used many of printables with my girls, and I especially love her 10 Books with Crafts post. Anyway, so many more pages to create, but I wanted to share these as I love the way they turned out. I hope my girls love them as much as I do!